The Economy Dressing Stick 26" long Dressing Stick/Sock Aid is a great value and is internationally licenced by Preston with a limited lifetime warranty. Model number 2109 is categorized in the Dressing Aids Department. 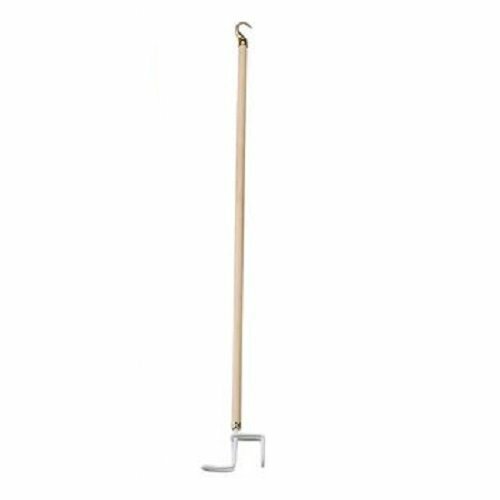 Description: Lightweight reacher/dressing stick features a small C-hook at one end and a large, plastic-coated push/pull hook at the other. Weighs less than 5 oz. Shaft measures 26" long. Deluxe model has a built-up foam grip on its shaft. Latex free. If you have any questions about this product by Preston Inc, contact us by completing and submitting the form below. If you are looking for a specif part number, please include it with your message.